Why is ‘Set Automatically’ grayed out in iPhone Date and Time settings? 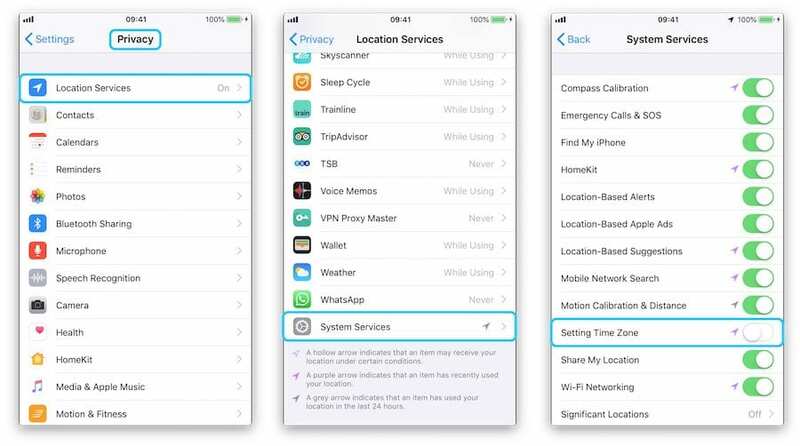 You are here: Home / iPhone / Why is ‘Set Automatically’ grayed out in iPhone Date & Time settings? 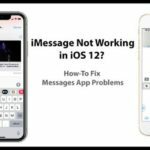 Can’t change the time on your iPhone? 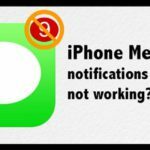 Some users are finding the ‘Set Automatically’ option for their iPhone’s Date & Time is grayed out and, therefore, inaccessible. This happens for a number of reasons, which we’ll discuss below. Typically an iOS device uses its location to automatically set the clock to the appropriate time zone. However, there are plenty of reasons you might not want it to do so: changing the time zone to a few hours early, making your clock fast to avoid being late, or maintaining a constant time on your device regardless of location. Whatever the reason, you need to be able to turn off the Set Automatically option in your Date & Time settings. And, if it’s grayed out or can’t be turned off, try out the troubleshooting tips in this post to fix it. There are a number of reasons the Set Automatically button might not work. 1 How do you change the time in iOS? 2 Change your Location Services. 3 Turn off your Screen Time passcode. 4 Check your carrier settings. 5 Restart or restore your iPhone. 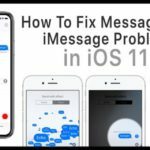 How do you change the time in iOS? You should be able to change the date and time on your device by going to Settings > General > Date & Time. With Set Automatically turned off you can manually choose the date and time. Ideally, you’d be able to turn off the Set Automatically button and manually input your preferred date and time. Of course, if you were able to turn off the button you wouldn’t be reading this post in the first place. 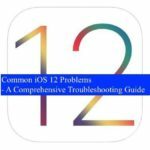 Make sure you return to this page in your iPhone settings after each troubleshooting step below to find out if you’ve fixed the problem. 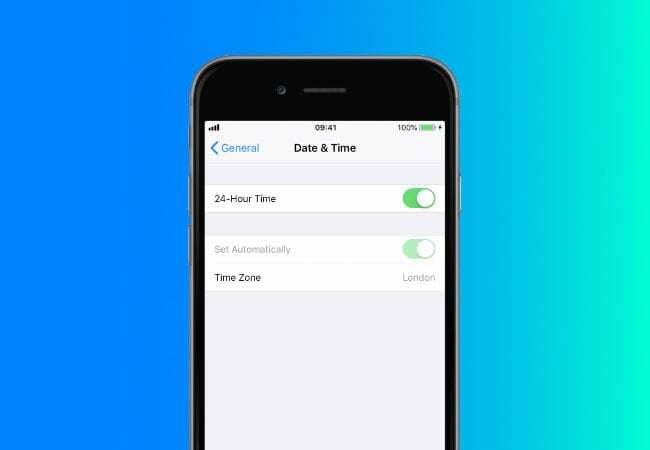 Your iPhone uses its location to find the right time zone. The first thing to do is turn this feature off in Location Services to see if that lets you manually change the time. With the Setting Time Zone button turned off you may be able to manually change the time. 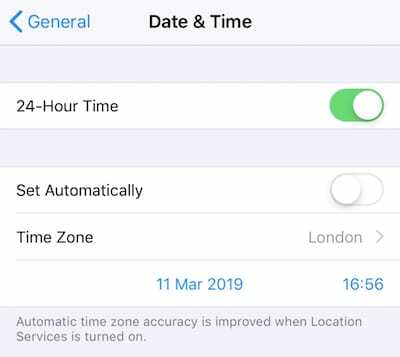 Be sure to turn the Setting Time Zone button back on if you want your iPhone to be able to automatically set the date and time in the future. Turn off your Screen Time passcode. 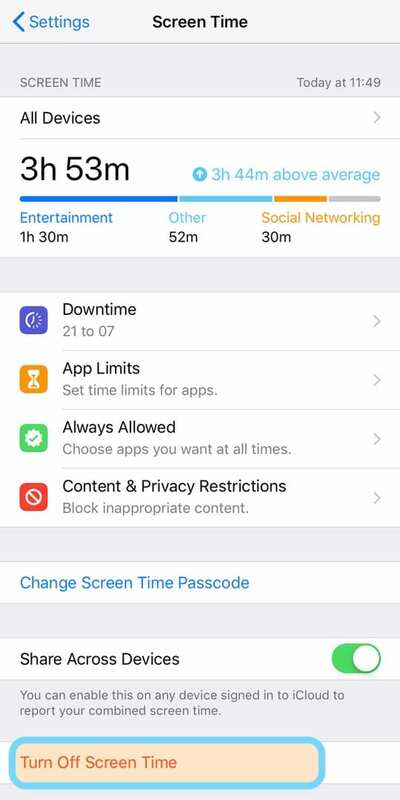 Screen Time was introduced in iOS 12 and allows you to restrict app usage based on certain times of the day. It’s great not just for personal productivity, but also to control the technology use of children. 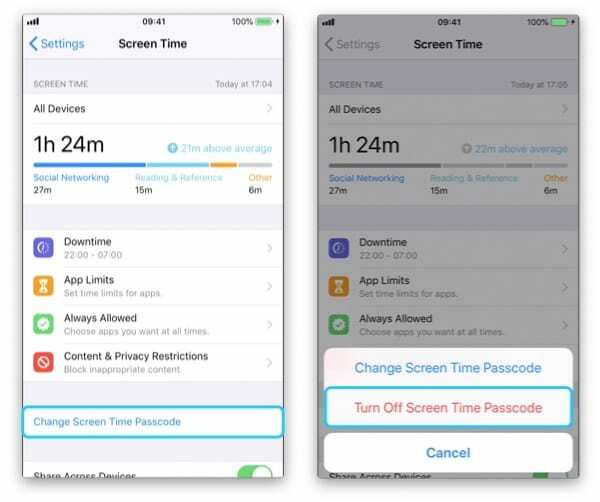 If Screen Time has been turned on with a passcode — recommended if kids are about — then it’ll block you from being able to turn off the automatic date and time setting. This stops clever miscreants from simply changing the time whenever they want to bypass the Screen Time restrictions. 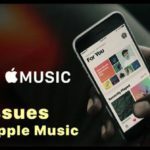 You can remedy it by turning off your Screen Time passcode, making any date and time changes you want, then turning the passcode back on again. Screen Time could be stopping you from changing the date and time. Another option is to temporarily turn off Screen Time and see if you can now toggle Set Automatically on or off. Don’t know or remember your Screen Time passcode? Some mobile carriers don’t allow you to turn off the automatic date and time settings on your device. You’ll first want to update your carrier settings and then contact your carrier directly to find out. 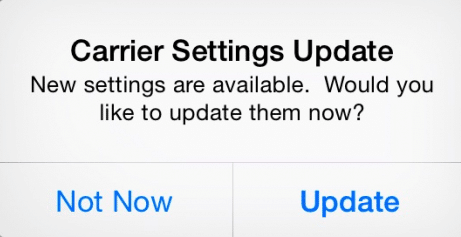 A pop-up will appear if you need a Carrier Settings Update. If a carrier settings update doesn’t help matters you could call your carrier directly. They’ll be able to tell you if their policy allows you to manually set the date and time. 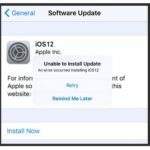 Restart or restore your iPhone. 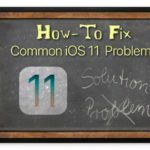 Restart your iPhone to fix many software issues. If you’ve gotten this far with no other solution it’s likely that a software error is causing the problem. Perform a simple restart on your device by holding the power button until you’re prompted to slide across the screen to power off. Wait 10 seconds before powering on again. Once the iPhone has restarted return to the settings to see if ‘Set Automatically’ is grayed out still. If so, it’s time for a restore. 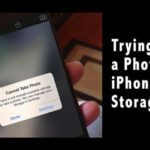 A restore will return your device to factory settings, so you’ll want to make a backup on iCloud or iTunes first. Once you’ve done that, restore your device using the instructions below and then recover all your data from the backup. 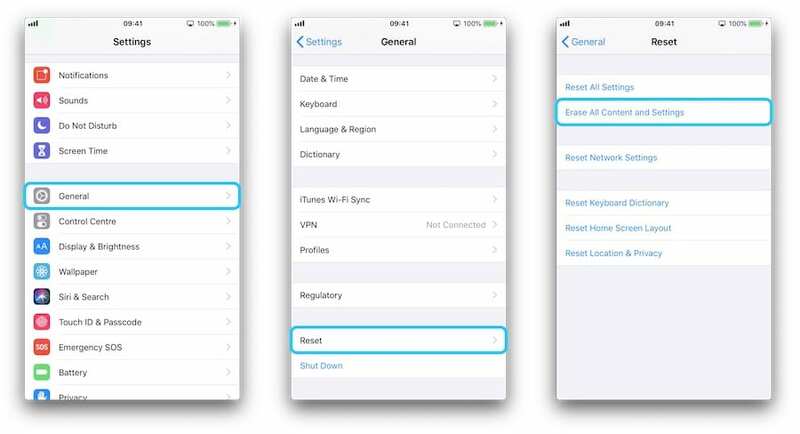 Restore your iPhone to factory settings so that you can choose a new time zone. It’s about time we got all that sorted. If you found the help you need, please let us know in the comments below. i have done all the steps but its still grayed out what do i do…??? Check if you enabled any restrictions in Screen Time (Settings > Screen Time) by turning off Screen Time temporarily. If you see the setting return (no longer grayed out) then you had some restriction set in Screen Time.